Very characteristic of rich, often moist beech-maple and mixed deciduous forests; occasionally under oaks or oak-hickory. This is a distinctive and striking forest species. 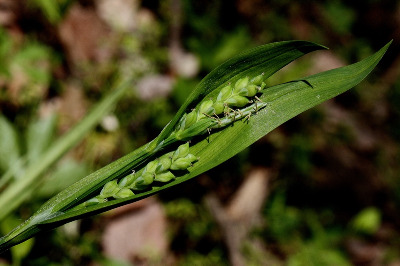 Wide-leaved (blades to 2.5 cm broad) plants of C. laxiflora occasionally occur, but may generally be distinguished from C. albursina by some or all of the following tendencies: longer-awned or cuspidate scales; longer anthers; longer and straighter beak; smooth bract sheaths and more conspicuous peduncled staminate spike. MICHIGAN FLORA ONLINE. A. A. Reznicek, E. G. Voss, & B. S. Walters. February 2011. University of Michigan. Web. 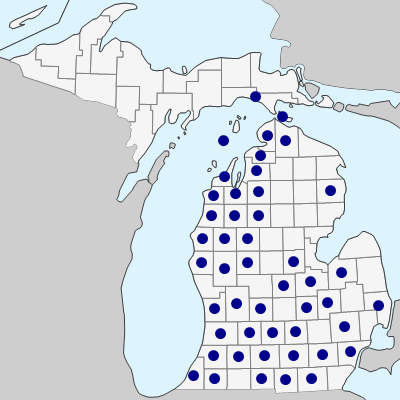 April 24, 2019. https://michiganflora.net/species.aspx?id=901.